As a child in Sri Lanka, Namik Perera witnessed the impact of a doctor shortage during the brutal civil war. “Hospitals were overflowing with the wounded and I felt the desperate need to help, but as a child, couldn’t do much”. Two strangers changed Namik’s life. John and Pauline Gandel’s donation to create a Scholarship gave Namik the opportunity to study at Monash. The Gandel’s hope is that the Scholarship will create a platform for exceptional individuals to contribute their talent to creating a better world. 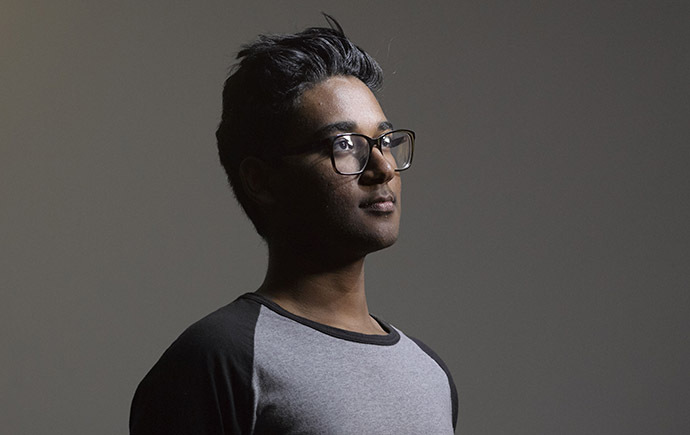 Each year, more than 800 Monash students eligible for financial support cannot be funded. Your help can enable young people to fulfil their potential. Your generosity means more students like Namik can realise their dreams. Change someone’s life. Give a Monash Scholarship. Authorised by: Chief Marketing Officer, Strategic Marketing and Communications. Maintained by: Giving to Monash Webmaster Team. Last updated: Sep 2017.